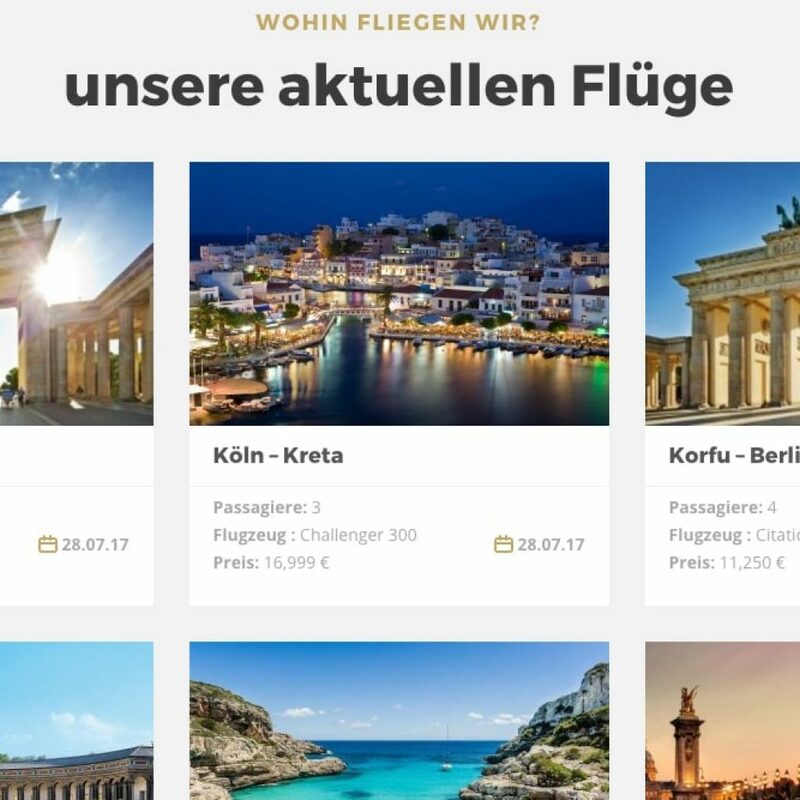 Home I The New Call a Jet Website is online! 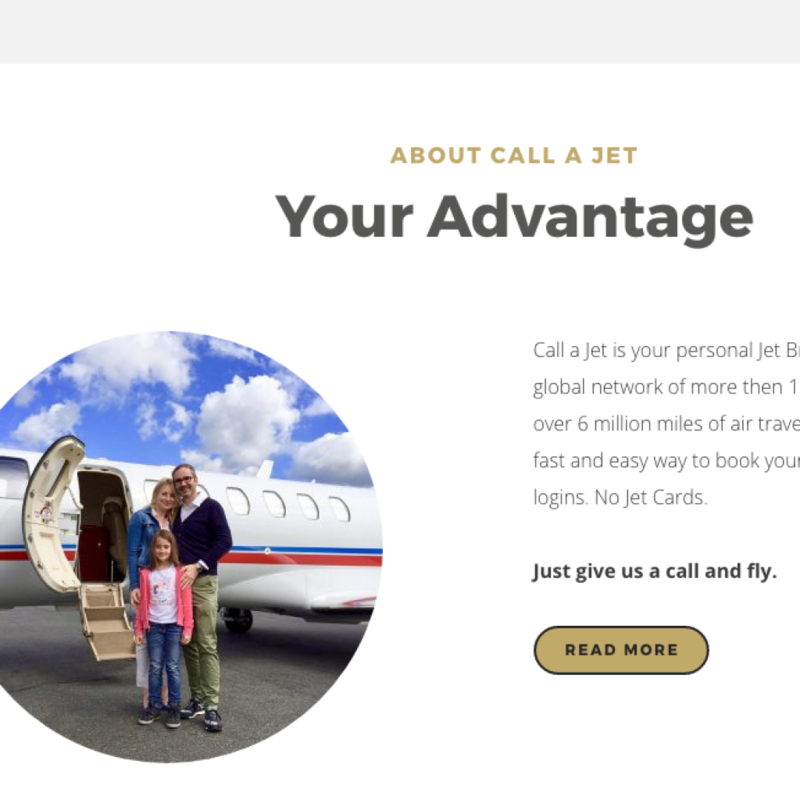 The New Call a Jet Website is online! 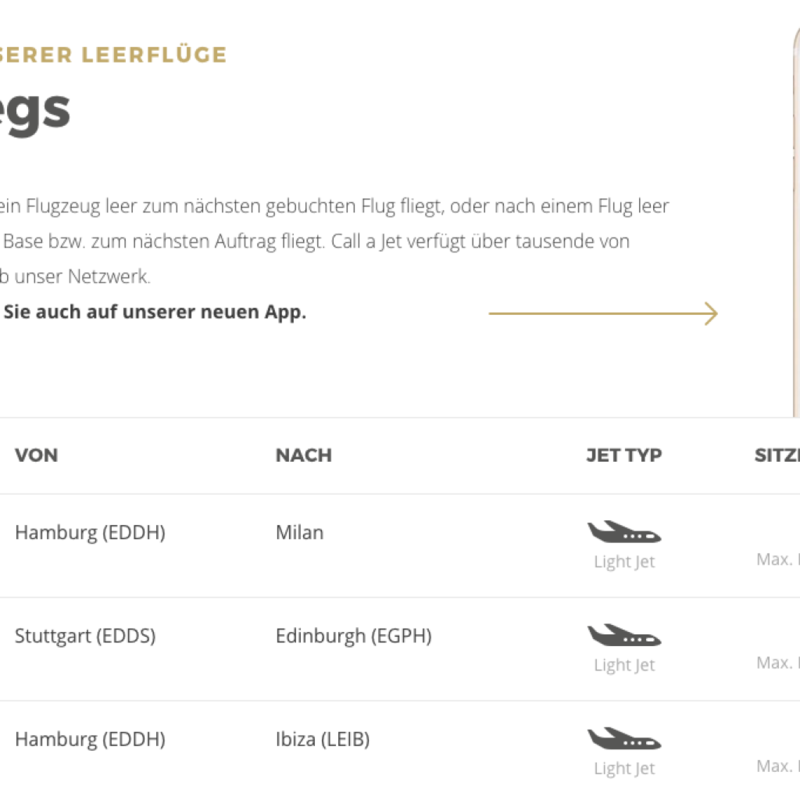 Since a few hours the new Call a Jet website is online! In addition to a completely new design, which has also been optimized for mobile devices, visitors can now access the most important functions of the site directly thanks to a running sidebar. 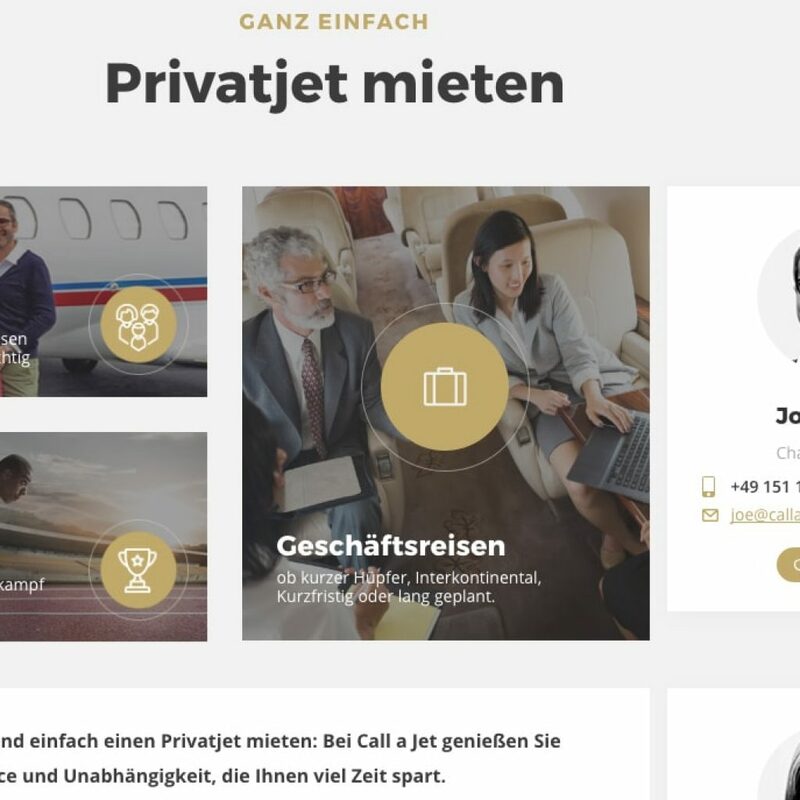 In addition to the three contact buttons via which you can call the Call a Jet team, write an e-mail or get to the contact page, you will also get access to the newly developed private jet price calculator. 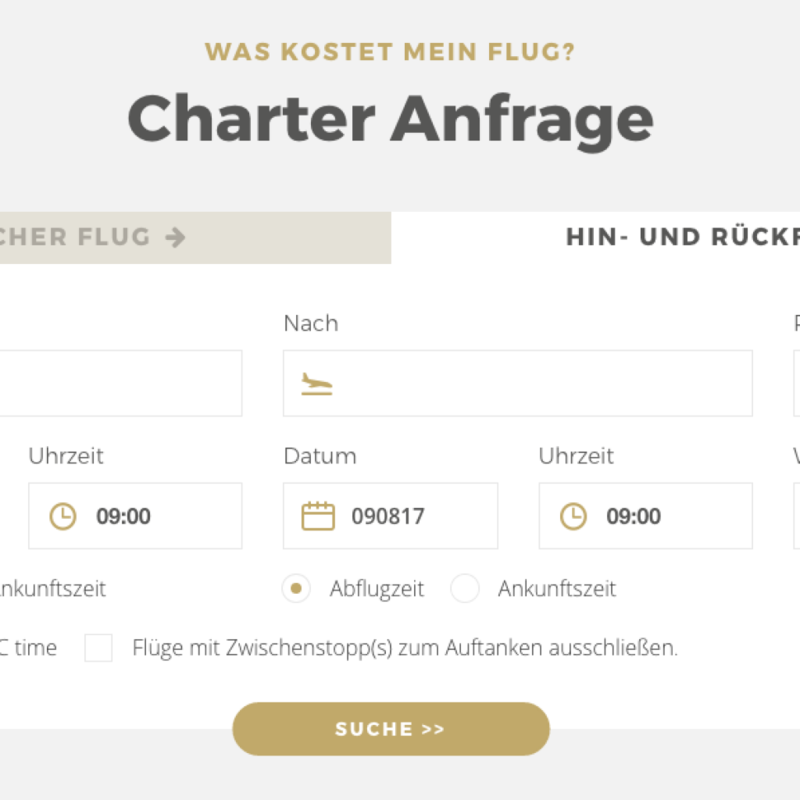 With the help of this tool, you can submit a charter request to us and will receive a non-committal offer within seconds after you entered your data. The non-committal offer can then be discussed in detail with the Call a Jet team, in order to take account of possible adaptation and additional wishes and to elaborate an individual offer. Further more some new pages have been added which show in detail how exactly our service works and what sets Call a Jet apart from the competition. The pages Private Jet Charter with Call a Jet, Contact Us, Our Current Flights as well as Empty Legs were adopted from our old website, however optically completely revised. On these page visitors have the opportunity to get an insight into the current flight volume at Call a Jet and can find out about current Empty Legs. A new feature is the Empty-Legs Newsletter, over which weekly the best offers for Empty Legs are send to its recipients.